Seriously though, you better vote this god tier you filthy maggots! *Disclaimer*: I am a volunteer moderator. I work on best judgement and do not speak on behalf of Hi-Rez Studios. Need technical or account help? Submit a support ticket! "I take super hot showers because I like to practice burning in hell." Curious of when a skin released for your favourite Champion? Check out my list! This list details when the most recent skin for a Champion released, compared to the Champion's release date and amount of skins that have released for them. It also details how many skins the Champion has for each rarity to show what exactly the new skin is. Evie for life. Nerfing won't stop me from loving her. You should had a Kyle tier which is unbeatable. 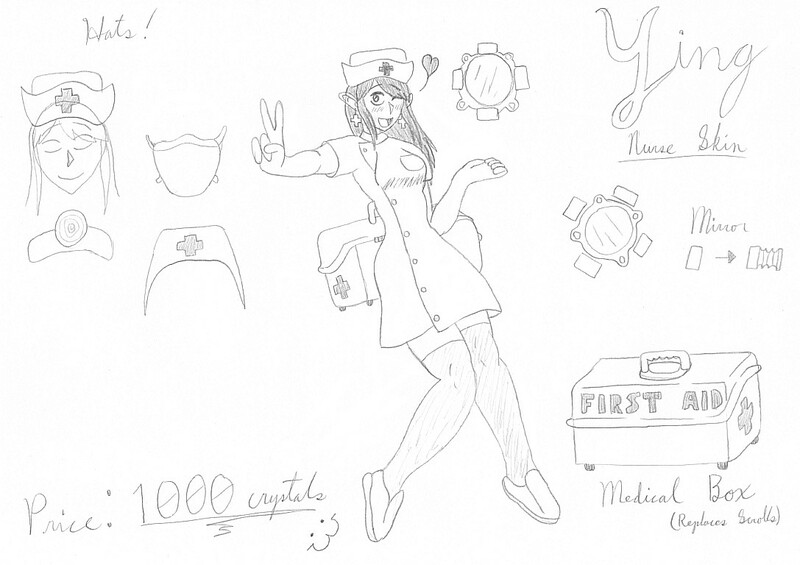 If they were to introduce a Nurse Themed skin then Ying would definitely be the best candidate. Patch 1.4 Ying Best Healer in the Damn Game. Support Skye is a better healer than Jenos.